Students in Latin 2 continue their study of Latin grammar and reading, building on the foundation laid in Latin 1. 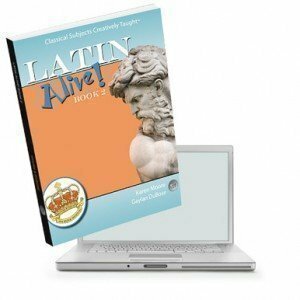 In this course, students will complete Latin Alive! Book 2, studying at a deliberate pace that aims at mastery and delight. Students continue to translate the writings of original Latin authors from the Roman Empire period and learn some of the history and culture of ancient Rome. Students build on their previous Latin vocabulary and are introduced to hundreds of new Latin words and many English derivatives. This course is designed for students who have successfully completed Scholé Academy’s Latin 1 course, the Latin Alive! Book 1 text, or an equivalent course of study. For students interested in transitioning from Henle Latin to Latin Alive!, we generally recommend that students who have completed Henle Year 1 begin with Latin 2, as long as they feel confident with first and second declensions and first and second conjugations. Latin 2 will start with a brief review of Latin Alive! Book 1. Before making a decision, we encourage you to review the samples we have online for Books 1 and 2, which include the full table of contents. 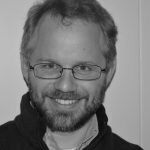 HeadventureLand.com is our premier classical education practice site. As students are learning Latin, logic, and other classical subjects, they often don’t get enough opportunities outside the classroom to put their skills to use. With a creative, engaging environment such as Headventure Land, we believe that students will enjoy practicing and strengthening their skills without the need for prompting. HeadventureLand.com has a free Lite Zone corresponding to Latin Alive! Book 2.